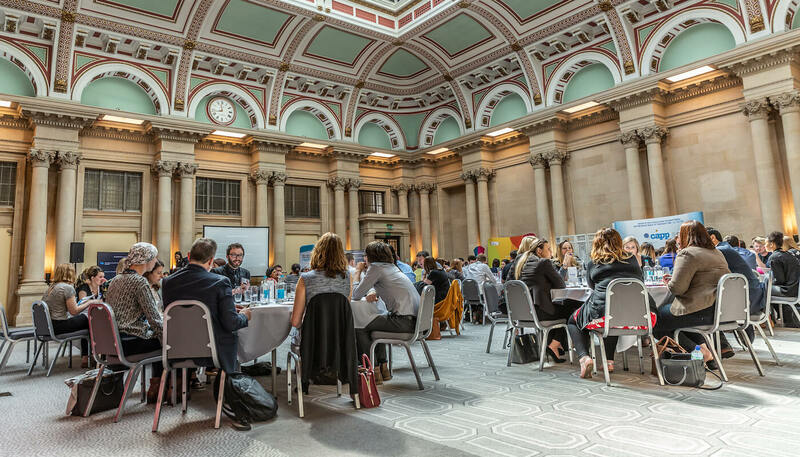 April 19th saw over 100 in-house recruiters from across the South West meet in Bristol to share ideas on how to attract the best talent. Whether it was how to engage and retain your workforce, building a great career website, attracting the 16-24 age group – all eight speakers (including yours truly) brought ideas to help recruiters strengthen their employer brand. So, after a few days to absorb it all, here are my main employer branding takeaways from what was an excellent event. Thanks to the In-house Recruitment Network and all the speakers and delegates who shared their experiences. Humans are naturally curious and there’s nothing more interesting and engaging than a story to hold our attention. So it was no surprise that the importance of story telling was covered by several speakers. After all, would you rather read a list of benefits or hear, first hand, why someone loves what they do? Dan Foster from Triodos Bank opened the day and talked about how the bank first listened to their co-workers as they developed their employer brand and then featured them telling their story. As he put it, “everyone has a voice” which is why the Triodos Bank recruitment film features co-workers telling their story of why they joined, what they do and what working for Triodos means to them. Using real people telling their stories also formed part of Arbi Rai’s presentation from Lloyds Banking Group. Story telling forms a key part of their attraction activity and, using filmed case studies like Meera’s story adds depth to the Lloyds career site. In my presentation I explained that a good careers website will help candidates find answers to their specific questions. Being able to learn from the people who know you best creates powerful messaging – which is why your people and their stories are your best advocates. Delegates from The National Trust joining the That Little Agency table told us how telling stories about roles on their careers website helps them build relationships with highly engaged talent communities. The importance of the candidate experience was covered by a number of speakers. We are now in the space where we realise that the candidate is evaluating us – just as much as we are them. And perhaps nowhere is this more apparent than in the 16-24 year old (dare I say it?) ‘Millennial’ generation. I feel dirty having said it. Neil Millett from reed.co.uk shared research on this age group showing that a good candidate experience, whether or not it resulted in a job offer, would encourage 49% of candidates to apply again, 44% to share that experience with family and friends and 35% would recommend the organisation to others. On the other hand, the biggest turn-off’s for 16-24 year olds lay with a negative candidate experience – with negative company reviews, confusing job descriptions and a disorganised interview process cited as things that would stop them applying. Often it’s the simple things that can enhance the candidate experience. Dan Foster from Triodos Bank talked about creating a ‘VIP Candidate Experience’ as every stage impacts on the employer brand. Part of this involves being honest and keeping in touch with candidates on a regular basis. As we know, candidates share their experiences – so why not create one they’ll want to talk about positively? Dunstan Arthur of assessment specialists SHL talked about building an engaging candidate experience and, through showcasing SHL’s Precise Fit assessment platform, suggested that candidates want an accessible and intuitive mobile experience and that a selection process should always start with the needs of the candidate pool and work backwards. Certainly a clear candidate journey is a key part of any careers site. I covered how That Little Agency design our career sites to make it easy for the candidates to search, find and apply for the right roles. We always start with the objectives of the website user in mind – and then employ clear structure, logical navigation and compelling content to ensure they get the rewarding experience that helps them get what they came for – while enhancing your employer brand in the process. I also covered the launch of Google For Jobs which will deliver roles in searches that closely match a jobseeker’s preference – with no duplicates. For candidates it will only make life easier and connect them with a better match of roles. For employers – you need to be a part of this but there’s a little work to do. The good news is we’ve written a handy little guide – and you can find it here. But, the candidate experience doesn’t just end at the point of hire. Melanie Oakley from Zone made the good point that new hires are still checking you out which is why the first 90 days are critical. You still need to keep them engaged through this time as good candidates will likely have 3-4 alternative job offers to tempt them. In my presentation I suggested recruiters need to ‘think like a jobseeker’ which is another way of saying understand your candidate journey and see the process through their eyes. Richard Purvis of Crunch Digital said the candidate journey is really a marketing journey – just like any consumer. His presentation covered creating ‘Talent Demand’ and he had a nice model to explain it. Called ‘The Applicant Engine’ he mapped out how the candidate journey goes through three stages – Connect, Consider and Convert. But thinking of recruitment like a marketer isn’t just about the external process. Many delegates were telling us how they’ve built strong relationships with marketing inside their businesses and how marketing can be highly supportive of recruitment campaigns. That was great to hear. We also heard how employers are working with baseline data (and not always great data) in order to work out a start point and enable them to be able to measure their outcomes. That was where Dan Foster started at Triodos Bank – which is how he’s been able to identify that he’s halved their recruitment spend and reduced time to hire from 65 to 25 days in three years. We were particularly impressed by Alisha McBeam of United Hospitals Bristol NHS Foundation Trust who told the That Little Agency table all about their ‘Happy App’ designed to measure staff happiness and designed in-house. It delivers instant data and enables action to be taken. A powerful example of listening and using employee feedback – or, should that be customer feedback? Just as a marketing campaign needs to be able to demonstrate ROI, so does an employer branding exercise. Reducing spend and time to hire are just two metrics you can use to track employer branding success. If you want a few more tips on how to measure your brand, we’ve got a little guide for that too. The message that the employer brand is just as important as the marketing of consumer brands came across through all presentations. Not just because an effective and engaging employer brand has power to attract better candidates at lower cost – it’s much bigger than that. Across the day we saw evidence that the employer brand is a mainstream organisational statement now receiving the attention and investment it deserves – and this was demonstrated by a succession of authentic case studies. It’s a highly positive climate with the potential to put the employer brand in the spotlight – along with those responsible for developing it.